The real problem is not only a lack of communication, but it’s also a mismatch in values. People do what they value and care about. If credit is important to you, then you’re going to do just about anything to protect and preserve that credit. However, if your spouse doesn’t value credit, then they don’t think too terribly much of their spending. They might not be able to see how destructive their spending is because you’re walking behind them to fix the mistakes that undoubtedly arise. This is something that can indeed make you angry. Yet anger is the last thing that you want to bring into this. If your spouse finds that you’re just waiting to yell at them, they’re going to feel like you just can’t be satisfied with anything that they do. They also might feel like you’re trying to take away their fun. This is obviously a delicate situation and you need to handle it that way. The last thing that you want is to cause further problems in your marriage. Not seeing eye to eye about finance is something that’s actually quite common. Spouses have to get together and find common ground in order to reach their financial goals. The best solution is to try to see where your spouse is coming from. We can make guesses about your spouse, but you’re the only person that actually knows how your spouse is going to react. Chances are good that they’re going to be a little upset. They might not know as much about credit as you do, and that makes them feel inferior. The best thing that you can do is try to take the motions out of it. Show them all of the goals that you have in mind for the future. When they see that small chances really can lead to bigger results, they might feel ready to get on board with you. This isn’t something that should be overnight, either. That’s the biggest mistake that people make when it’s time to get things together. They think that rushing through it will tie up all of those loose ends. However, that just makes it worse. Don’t forget that you need to ask them about what they want as well. Some resentment can definitely rise up if you’re trying to make a lot of changes to the family budget, but you never include their goals into the mix. Stop and ask your spouse what they really want for the future. Get them to really visualize. It’s been shown that when people have a chance to really see what they want to bring into their future, they’re a lot more likely to stick with the new plan…even when things get rough. Trying to get a family budget back under control isn’t for the timid. You’re going to have a lot of emotions in play but you want to stay the course. Your financial future is worth everything, you know! If you’re trying to build a credit history, you might have been told that store credit is not the way to go. With the sheer amount of interest that you’re going to have to pay once all of those nice perks go away… who would want them? The truth is that when others aren’t offering credit, the department store could be your best option. They know that people want to have the best of everything — even if they can’t really afford it. Therefore they get aggressive about offering credit to just about anyone and everyone. 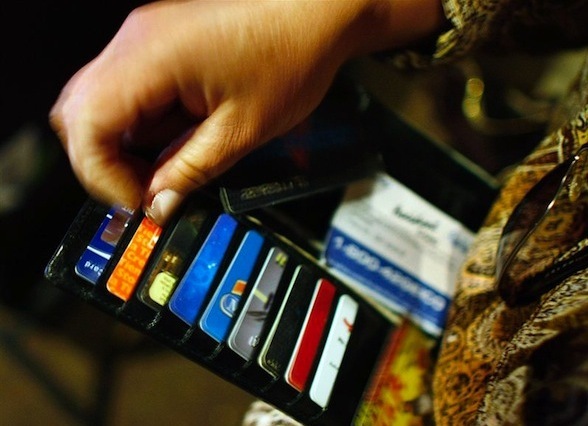 If your credit isn’t totally trashed, you could pick up a store credit card. However, there are a few things that you’re going to need to think about before you just dive in. You’re going to need to realize that you can’t just charge it up. This is a red flag to the credit card company, and they will end up cutting back on your credit. That’s definitely the last thing that you want, so it’s time to make sure that you don’t fall into that trap. What you also have to do is make sure that you’re thinking about handling it systematically. Do you want to pay it off every month? Certainly. You want to demonstrate that you can be responsible. This is the one mistake that credit builders make over and over again, despite having all of the opportunity in the world to create something powerful for their own lives. Your credit rating is a “shortcut” for a glimpse into how you live your life. People make conclusions about you based on your credit score. There’s a lot of things wrong with that…but that’s the way society is. These days, you cannot even get a rental or apply for a job without having to sign a release that says that they can look up your credit report data. Just as you want to build credit slowly and take care of it, you will also want to make sure that you’re looking at your credit rating itself. Is it accurate based on the information in the credit file? If not, then you really do need to correct those errors before you can really proceed. You might assume that you don’t have any errors, but you might be mistaken completely. There’s no time like the present to grab hold of your credit. You might think that it’s hopeless, but that’s not the case at all. Everyone can build their credit and move on. You just have to find the willingness to do so. That’s all! Good luck. Are you in the market for new credit? If you have a good credit rating, you might want to check out some of the interest free cards that are growing in terms of popularity. Credit card companies are international forces of nature, looking for as many consumers as they can. In order to attract the best consumers to their brand, they know that hey have to have features that really sweeten the pot. Nobody wants to deal with a credit card company that’s going to just raise their rates all of the time — especially if they have a history of paying their bills on time and having the money to do so. So interest-free periods on both purchase and balance transfer credit cards are a good thing, and something that you should check out. Gone are the days where you just had to stick with the credit cards you had, lest you run the risk of not being approved for anything new. 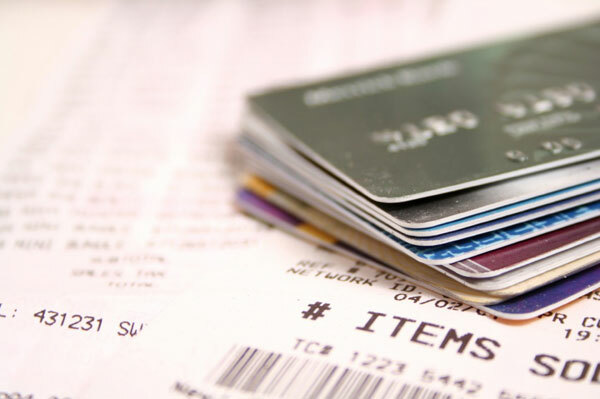 If you have a history of paying your credit card and you keep a modest balance, you should make sure that you shop around — it could save you a lot of money. 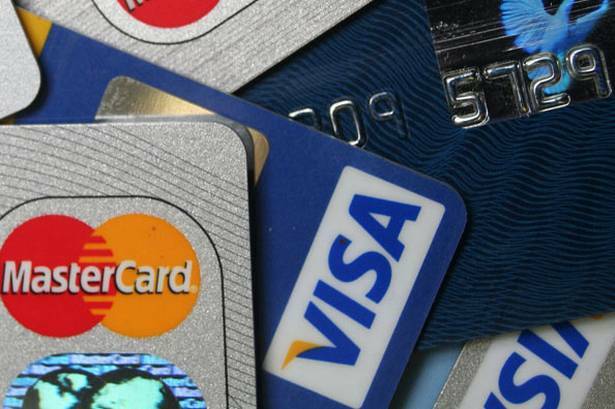 Here are a few credit cards that have gotten our attention lately. We can’t go without mentioning Nationwide’s Select Credit Card. it’s a pretty good card with good terms — 18 months at 0% interest for purchases, and 17 months at 0% for balance transfers. You will however need to make sure that you pay the 2.95% handling fee for any balance transfers. Make sure tat you do the math on your own situation to make sure that switching to a card like this would be a wise move. The offer does have a few downsides. You’re going to have to be a Nationwide FlexAccount customer with a Visa debit card. You will also need to pay 750 GBP or more each month in, or transfer from a non-Nationwide account using the building society’s transfer service. There are some benefits here with this offer, but if you’re satisfied with the current account that you have, you might want to check out some of the other deals. We really liked the Halifax All in One MasterCard. It’s got 15 months at 0% on balance transfers AND purchases. Virgin Money is jumping in the fray with 14 & 13 months respectively (balance transfers and purchases) at 0%, and even Sainsbury’s is making an offering. 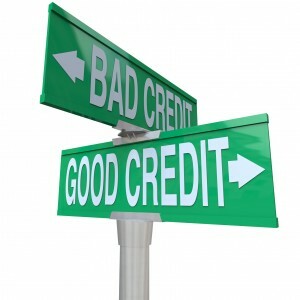 As mentioned earlier, you will indeed have to have a spotless credit rating or close to it. But if you’re in this special category and you can indeed make things work, we suggest looking at the current offers and seeing if you can save some money in the long run. Start today! It is always nice to know that if you are on holiday or just out with friends you have a credit card that will pay for the unexpected. We have all been away and seen something but haven’t got enough money available to buy it, therefore having a credit card is so nice to have but choosing a credit card that offers the best interest rate can be difficult so it is wise to look at the various deals on offer before you make a decision. There are many websites that will enable you to compare credit cards, which makes it easier for you to choose the one that is best for you. Many credit cards will offer 0% for a selected amount of months but be aware that you look at the interest rate when the 0% expires as this could be very high. Some credit cards offer you discounts for music, holidays, wines and many more. Some even offer insurance cover when abroad. Another good thing to look for is to see if you are covered for fraud as so many credit cards can be cloned and the last thing you want is to find that your card has been used for a large amount of money that you have not spent. To have this cover included in your package is a good asset. Whatever your circumstances are now or have been in the past and with this environment you all know someone who has been made redundant or have lost their jobs and have got into money difficulties there is a card out there that will be available for people with bad credit. Therefore everyone in every eventuality can obtain a credit card. Some deals will enable you to carry out balance transfers but might stipulate what cards you can transfer from and you might be charged a handling fee. Also some deals will state that you have a certain annual income. Whatever you want your credit card to be used for there will be a card that suites your needs. Summer is often a time of spending, but if you’re prepared for it then there’s nothing to be worried about. The more that you get to enjoy yourself this summer, the more likely it is that you will stick to your long term goals. It is only when we try to be super strict that life suddenly becomes a bit dull. Barclaycard has plenty of options for you this summer to not only take control of your finances, but also make sure that you’re having a great time. The best thing that you can do for yourself is to make sure you at least give every offer some consideration. One thing that can help you really enjoy the summer would be Barclaycard’s program for customers new to the world of credit. It’s a 0% interest offer on purchases for the first three months. Out of all of the card offers, this is definitely one of our favorites. Why? It’s a generous offer when you think about the fact it’s offered to people that are new to the credit world. This means that you get to enjoy your summer and do some shopping without having to worry about paying back interest for a few months. We like cards like this if you’re thinking about going on holiday. There are still some other offers to check out — such as the low-fee balance transfer offer for 17 months, which would give you a transfer fee of just 1.6%, plus 17 months of 0% on balance transfers and 3 months at 0% interest on all purchases. There’s also a 15 months 0% interest offer on all purchases and balance transfers, with the balance transfer fee of just 2.9%. The final offer is a 22 month balance transfer with a discount of 30 GBP off the transfer fee. 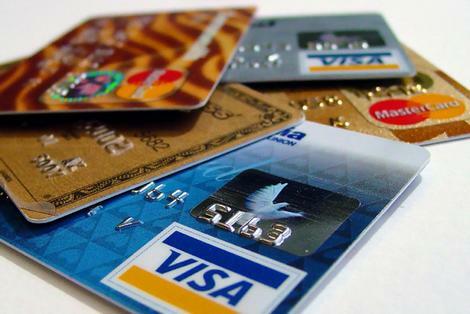 Credit cards — a great tool when the economy is great, but let the economy get bad and people start worrying about how evil credit cards really are. Unfortunately people have to step back and realize that credit cards are really what you make of them. If you use them well, they’re a great tool. However, if they start becoming a crutch and a replacement for a good emergency fund, that’s where you start running into trouble. You can always find someone to get you a credit card — after all, your sow paying ways boost the credit card company’s bottom line. However, this guide isn’t here to chastise you about your financial habits too much. If you’re suddenly finding yourself unemployed, then you will want to make sure that you actually look into your options when it comes to credit cards. See, most people are thinking about some tough decisions like whether or not to pay their debts or feed their families. We are never going to tell you that you should sacrifice your family’s basic needs to pay a credit card bill. You might not even have to make that choice if you have the right credit card. Indeed, the credit card companies are realizing that you’re going to have to make tough decisions and they want to boost morale and show the public at large that they aren’t heartless machines. This means that if you know that you just lost your job, you really do need to give the credit card company a call. They can postpone some of your payments, or even make a new payment plan. The basic point here is that you definitely want to make contact. Dodging the credit card company is what actually makes them nervous. When you look like you’re never going to pay again is when the credit card company starts the collection process. As long as you adhere to the terms that they have worked out with you, you can repair your credit faster than if you just pretended that the problem isn’t there. Yes, this is going to take some emotional bravery on your part. You’re going to be tempted to assume that there’s no way that you’re ever going to be able to take to someone that cares. However, that’s not true at all — many credit card companies are staffed with people that really do want to make sure that your credit remains in good standing. Happy customers are customers that will get out of their current situation and make enough money to where they can repay the card…and start spending again. Remember that the credit card company doesn’t make money until you start spending again. Anything that they can do to keep your financial situation stable while they can regroup is a good thing. You will probably need to fax in proof of your unemployment. It helps if you qualify for actual unemployment benefits. This means that you actually were displaced because of the economy instead of just being fired. It’s always a good thing to check in the fine print as well — you might find these protections are automatic. On other credit cards, you’re going to have to buy a certain insurance. Speaking of insurance, you might want to actually look into coverage for when you’re unemployed. This is separate coverage that you have to pay for when times are good, but it can really come in handy. So if you’re reading this and you’re not unemployed yet, you might want to go ahead and opt into this coverage. It can take a while to process claims of this nature, but it’s actually worth it. 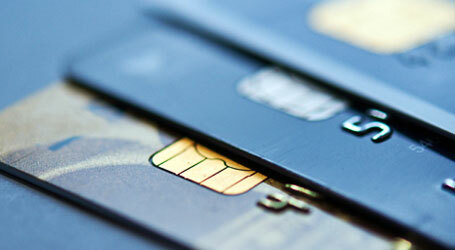 The time is definitely right to make sure that you know all of your options when it comes to credit cards. You want to eventually find a new job and be able to pay down your credit cards faster, but the tips in this guide are designed to help keep the damage to a minimum -=- why not take action today? If you take no other piece of advice from this site on credit cards, take this: you do not want to dodge the credit card debt collectors at all. First and foremost, if you know that the debt belongs to you outright and there’s no one charging up your credit cards, then you have a moral obligation to pay the debt that you owe. Anything less than that is simply selfishness and you don’t want to go down that road. After all, if someone owed you money, you would want to make sure that you had the debt paid back to you, wouldn’t you? The credit card companies are the same way. They just want to make sure that they are going to be paid as soon as possible. One of the first things that a credit card company will do is make a courtesy call to your phone. This call can usually be pretty polite, especially if you’re not even 30 days past due yet. The later calls can escalate in severity, especially as you near the 90 days past due mark. This is usually the point where a credit card company realizes that you aren’t going to pay them, and they try to turn you over to a collection agency to see if that will cause you to pay your debts. Of course, since there’s a lot more information on credit cards now than ever before, some people still don’t pay their bills. You have a lot more power if you decide to step up and actually deal with your creditors than if you were to dodge all of their phone calls. If you have a valid reason why you’re not paying your debt, you need to make sure the credit card company knows this. Of course, it has to be said that this is not something that you should conduct over the phone. Naturally, this is what a lot of people do, but it’s not as effective as you think. It’s very easy to lose phone records or to have them entered incorrectly by the representative that answered your phone call. Customer service can be something that’s very sporadic and difficult, which means that you will need to make sure that you take matters into your own hands. You can’t expect the credit card company to help you unless you’re serious. The best way to show that you’re truly serious is to make sure that you handle yourself in a professional manner. Instead of running from the calls, you will want to make sure that you open a line of communication that’s less intrusive than the phone calls: the mail. If you have a stable mailing address, you might want to send a cease communication order to the credit card company. Explain that the phone is no longer a valid way of contacting you, and you prefer to handle everything through the mail. Make sure that you send this letter to them through certified mail, while requesting a return receipt. This means that you will have verification that they have actually received your letter and not thrown it away. This will help you take matters into your hands in case you have to go to court later. Now, keep in mind that if you ask the credit card company to talk with you only through the mail that you will need to communicate with them regularly. You will need to let them know the reason why you aren’t paying the bill, and ask if there are any alternate programs that they can assist you with. Of course, if you are still open to talking on the phone with credit card representatives, then you can augment your letter campaign with a few phone calls. This will make your campaign more targeted because you’re not relying on the phone — you will have a paper trail that you can turn to in case the credit card company argues that you’ve never made attempts to handle your debt properly. At the end of the day, no one can force you to deal with the credit card debt collectors. However, you will find that the company will handle you much differently if you strive to talk things out and work towards a solution. Running will only make your problems worse, and it certainly won’t improve your credit score in any way. Use the tips in this guide to push forward, and remember: don’t give up; a brighter credit future is around the corner!